After taking center stage at the Goldman Sachs annual shareholders meeting, CEO Lloyd Blankfein talked with CNBC today. In regard to reports that Goldman is in settlement talks between the firm and the SEC, Blankfein said the firm has been "interacting with the SEC regularly." Although Blankfein did acknowledge that he regretted clients of Goldman have been put in a difficult position and does not take for granted their tremendous "loyalty." So, what does the CEO of the financial giant think of Thursday’s intraday market madness? He added that he was "concerned about the economy in Europe and the whole political and social environment, in respect to the European environment." But, "I'm pretty confident that the European sovereigns will do what's necessary to restore confidence,” he said. 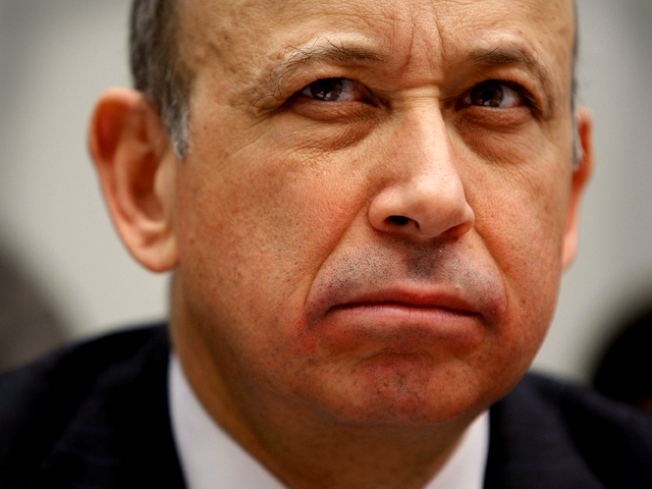 And even though the markets have been going through a tumultuous period, Blankfein thinks, "except for this interlude, business around the world is correlating with renewed optimism about growth..."
Will Goldman's Top Management Be Held Responsible? Has The Goldman Powerhouse Taken One-Hit Too Many?